Keep protecting your brand new Macbook Pro® 15 inch retina® display with variety of accessories of SmackTom, the best online store for affordable and quality Laptop accessories. We offer best accessories for Macbook Pro® 15 inch retina® display Cases, Screen Protectors, Cables, Chargers, Earphone, and Speakers to personalize your Laptop. 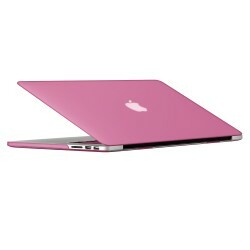 Our collection is fit for Apple® Macbook Pro® 15 inch retina® display Laptops. You will find perfect accessories for your Laptop at discounted prices and Free shipping in US shipping.